The National Union of Mineworkers will march to the Union Buildings on Wednesday, asking government to take on the Optimum colliery and establish a state-owned mining company to protect the jobs of mineworkers left stranded by Tegeta’s fall into business rescue. The union said in a statement on the march that mineworkers at Optimum and Koornfontein Colliery Mines in Mpumalanga had not received their salaries in three months. The NUM also claims that the business rescue practitioners tasked with assisting Tegeta have tried to get kickbacks in the process of rescuing the company, adding that they did not "follow due process". In April last year, this claim was held by a founding court application to have the practitioners removed. The South Gauteng High Court in Johannesburg dismissed the application by former Gupta company directors. This also came amid a legal battle regarding the sale of Tegeta shares to Charles King, a Swedish company said to have links to the Guptas. The practitioners called the allegations in the application "slander" and "character assassination". 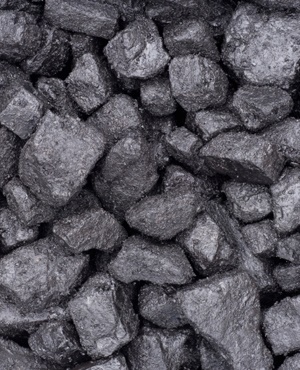 Under Gupta ownership, Tegeta Resources and Energy and the Optimum colliery left in a quandary after the company could not honour its end of a coal supply deal with state-owned power utility Eskom. Since the Guptas went off the radar, the Bank of Baroda left the country, leaving the company unable to pay employees. NUM Highveld regional secretary Tshilidzi Mathavha said government should leave no stone unturned in keeping the coal mine running and protecting jobs. "One is that we want government to take over that mine. We can’t suffer while government is there. We have an idea called African Exploration as a state-owned mine. Government must take the lead to continue operations," said Mathavha. NUM and the Congress of South African Trade Unions – two labour organisations allied with the governing African National Congress – will march to the Union Buildings on Wednesday raise their concern at the impact of the state capture years on workers. NUM is demanding immediate payment of salaries owed to hundreds of mineworkers at Optimum and Koornfontein colliery mines.